SP MLAs join chorus on 'EVM tampering' issue. Newly-elected Samajwadi Party MLAs today joined the chorus on "EVM tampering" allegations levelled by BSP chief Mayawati and AAP supremo Arvind Kejriwal and demanded that future elections be held using paper ballots. At the first meeting here of the new SP MLAs, the consensus was to go back to the traditional paper ballots in future to rule out possibility of any tampering of the Electronic Voting Machines (EVMs), party spokesman Rajendra Chowdhury said. The MLAs felt that the party's drubbing at the hands of the BJP was because of EVM tampering and suggested all relevant proof should be collected to substantiate their charge, he said. The SP, which ruled in Uttar Pradesh for five years after winning 224 of the 403 Assembly seats in 2012, had to be content with only 47 seats in its kitty this time, while the scrore of BSP plunged from 80 to just 19 seats now, as BJP and its allies notched up 325 seats. An angry Mayawati had yesterday decided to move court over alleged tampering of EVMs in the recent Assembly polls, an issue which led the Delhi chief minister to cry conspiracy. Kejriwal also said that before 2014 Lok Sabha polls even some BJP leaders like L K Advani were not in favour of the EVMs. As the leaders of BSP and AAP raised their pitch in questioning the reliability of the EVMs, the refrain of the newly elected SP MLAs too was similar at today's meet. 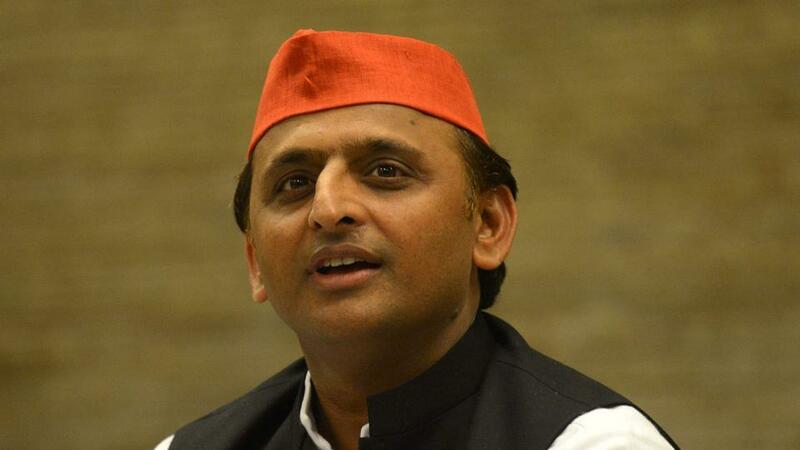 SP National President Akhilesh Yadav had said on March 11, the day results were declared, "If questions have been raised by the Bahujan Samaj Party on EVMs, government should probe it. I will also look at it on my level," he had told reporters. The SP legislators at today's meeting authorised Akhilesh to decide the name of the Leader of the SP Legislature Party, who in turn would become the Leader of the Opposition automatically as SP is the largest party in the opposition bloc.